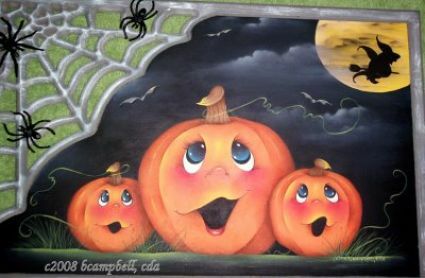 A happy family of pumpkins enjoying the nite, till they see the witches shadow cross over the moon. Great project for Halloween to apply to any surface. The board with the web is available as well.